Nyemade’s latest update on Integrity Idol Liberia! “We are excited that Integrity Idol is now taking place in Liberia after huge success in Nepal last year. Integrity Idol Liberia is a national citizens’ campaign to identify and celebrate leaders who exemplify honesty and integrity. 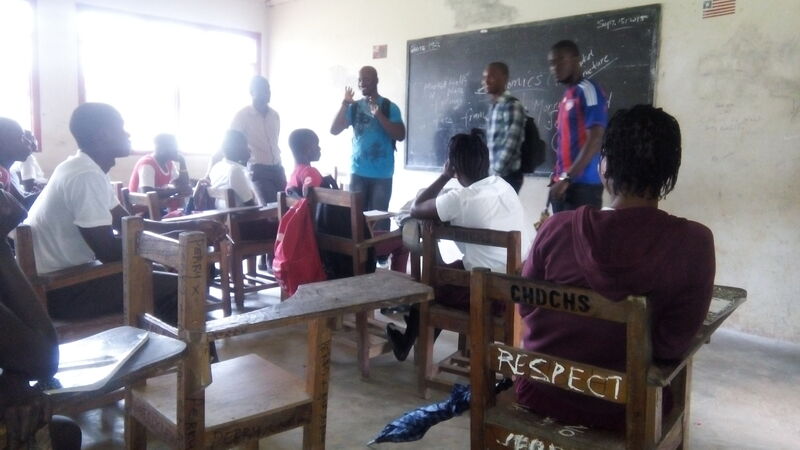 This unique effort aims to generate debate around the idea of integrity and to inspire a new generation of Liberians to be effective public servants. Since launching the competition three months ago, Accountability Lab has already received 1,023 nominations and counting from citizens around the country! 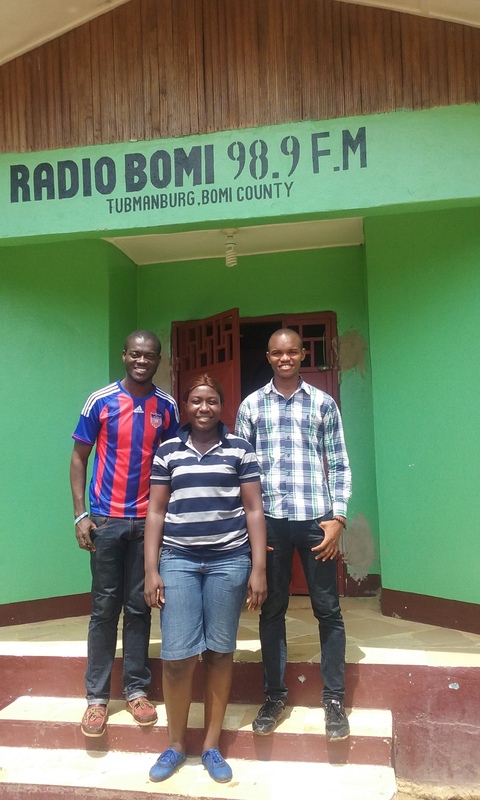 A team of volunteers led by Accountability Lab Liberia recently made a trip to Bomi and Grand Bassa Counties to help spread the word. The team arrived to Tubmanberg, the capital city of Bomi and met with a group of volunteers led by Ruth M. Borbor who guided the team to various community institutions to speak about the competition. The first stop was a radio station in Tubmanberg. The team spoke with the managing director of the radio station to explain the goals of Integrity Idol and how the radio station could make public announcements encouraging citizens to nominate candidates and vote in each round of the competition. From there, the team proceeded to many locations around the community including restaurants, a county hospital, the Community Health Department, and the C.H. Dweh school. At every stop, citizens gathered to listen, and many were eager to get involved. The Accountability Lab team greatly appreciated the work of volunteers to guide them around the community, and they were heartened by the many citizens who embraced the idea of Integrity Idol. Next, the team stopped in Klay District. There they talked to many public servants and citizens including: police detectives and immigration officers at the Township Police Depot; the Dean of Student Affairs and his team at the Ministry of Youth and Sports; officers and personnel at the Immigration Check point; and police detectives and officers at the Dewein District Police Depot. It was exciting for us to reach all these audiences because it meant greater support and awareness of Integrity Idol in the communities- which led to even more nominations! For example, the Ministry of Youth and Sport agreed to spread information about the campaign through its offices across the country. All the groups in Klay District voiced their support for the competition and agreed to help spread the news. Q: What is Integrity Idol Liberia and why should I get involved? Integrity Idol Liberia 2015 is a program designed to help Liberians promote positive examples of honest and hard working community leaders. It aims to generate debate around the idea of integrity, demonstrate the importance of personal responsibility and accountability, and inspire a new generation to be more effective public civil servants. Q: Should we know the person fully before nominating him or her? Yes, you should know the person fully because what you know and write about the person will determine whether that person is of integrity. Q: Why did you limit age to 59 years? We limited the age to 59 because we hope that the nominees can continue to work in government services- and demonstrate integrity- for many years to come. Q: How transparent will the entire competition process be? The process will be entirely transparent in that selection of candidates and voting for candidates is conducted openly and decided by the citizens of Liberia. Now that nominations have closed the Accountability Lab will conduct an open process to reduce the number of nominees to the top 30. After that an expert panel will be recruited to help us choose the final 5 Integrity Idols, based on their dedication, integrity and commitment. These finalists will be filmed and the episodes will be broadcasted on national radio and TV. Citizens can then vote by SMS and through social media for their favorite. Visit www.integrityidol.org for more details. Q: How does the entire process look from start to finish? To learn more about Integrity Idol, visit the website: www.integrityidol.org and the Integrity Idol Liberia Facebook page.